Auruhfy is simply a unique mix of modern art portrayed with an age-old technique of block printing. Our goal is to encourage changes that enter people’s homes and create a sense of uniqueness to their feel. We experiment, change and innovate because we know what or brand should represent to our customers with a guarantee of quality, ethnicity in a mix of contemporary designs and creation. One of Auruhfy’s biggest strength is our attitude to look ahead and bring to you some never before seen designs into your homes. Each of the designs offers a more personal and yet creative touch, brimming with colors to beautify your house into your home. Auruhfy essentially means transforming anything into gold. The brand stands true to its meaning as the designers have indeed struck gold with their designs. Combining ethnicity with a dash of modernity is their USP. The collection produced by Auruhfy continues the exploration of developing modern designs while simultaneously drawing inspiration from the rich vocabulary of Indian design and craft. 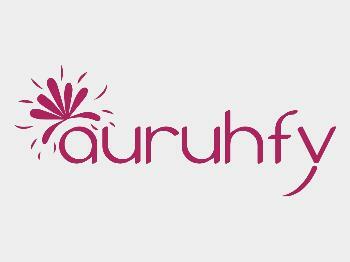 Every single collection produced by Auruhfy continues the exploration of developing modern designs while simultaneously drawing inspiration from the rich vocabulary of Indian design and craft. While the furnishings collection focuses majorly on block printing, the garment collection is a mix of beautiful , soothing silhouettes.100% cotton is used for all the products. All items shall be suitably packed, and shipped via reputed courier services. Please do not accept the shipment if it appears damaged or tampered with on arrival. In case you have been delivered a defective or wrong product, please reach out with images and details and we shall be happy to help you.